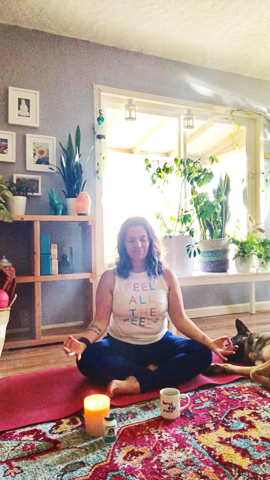 What I've Learned About Anxiety + Grief — Welcome to Fitty Foodlicious! 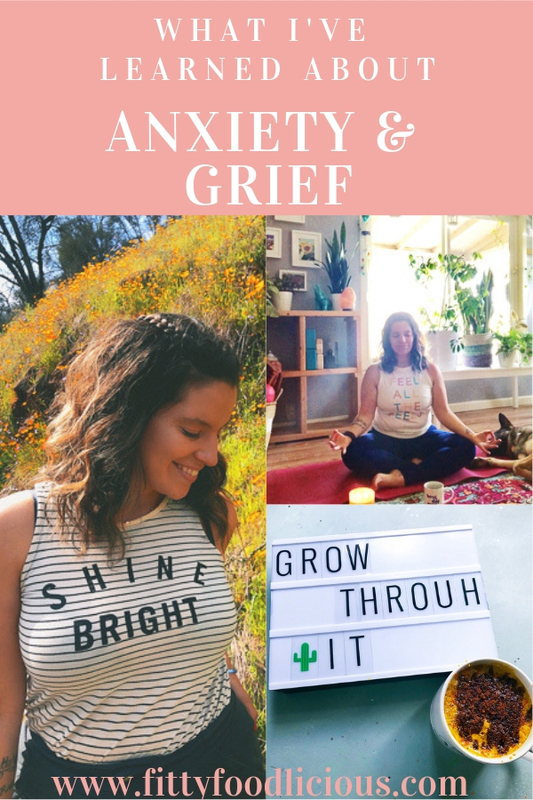 Grief and anxiety are often intertwined. One does not replace or replicate the other. Often times, grief and anxiety come in the unending waves and the pain from going through both can feel insurmountable at times. I hope my story and tips help someone out there. 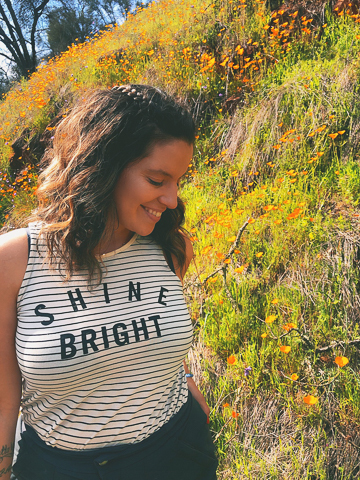 I share and talk openly about my mental health journey not to be judged, but in hopes that my journey will help someone else currently struggling. 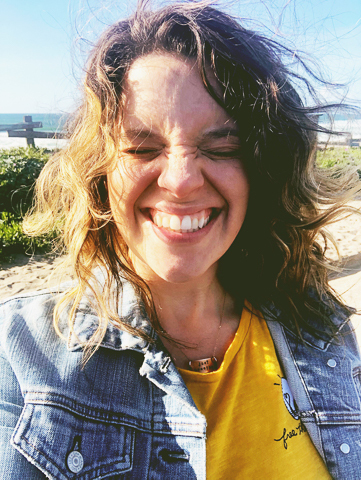 If you are struggling, I’d love to hear from you. Feel free to DM me or email me. I’m here to help. Life with Lincoln has been absolutely amazing! After all of the grief we’ve experienced this over the last year, it’s a huge uplift to have such a new and vibrant energy in the house. Having a puppy around is does wonders for my anxiety as well because I’m unable to sit in my own thoughts for long. Lincoln is constantly coming up to me with his shark toy, or reminding me that we need to get outside. He’s always by my side too which I love. Everywhere I go, he follows. Roxy is similar, but she’s an older pup now and I’m certainly noticing that since adopting Lincoln. Aging is awful. I wish there was a magical potion out there that made dogs immortal. As my father-in-law says it best, we give them the best life possible while they gift us their presence here on earth. I constantly think of Harley. I miss his presence and his constant thumping tail-wag and smile I miss his boundless energy and his happiness to just be existing. If there is anything I’ve learned from losing Harley, it’s that to appreciate being in the moment. It’s hard to do that with anxiety, but it’s something I’ve been working on daily. 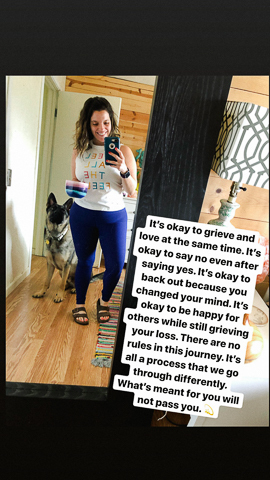 Here’s what I’ve learned about grief that is mind blowing to me. Love doesn’t replace love. Grief doesn’t replace love. You can mourn a loss and be happy about a new life all at the same time. One doesn’t replace or replicate the other. I miss Harley constantly and still feel the void in our home from losing him and at the same time I adore having Lincoln and he brings a new, vibrant light to our home. I’m still mourning my other loss and excited for a new beginning that will turn that loss into a rainbow. I also see this in my father-in-law while he mourns the loss of his wife while enjoying new experiences. There is no linear timeline for grief. There are no rules to break and it feels as if grief is loads of invisible burdens to bear. But in reality it’s all just the emotional process that we need to go through in order to heal. I know I will never get over losing Harley and my loss, but in time I truly believe the universe will show me why it all happened. I surrender now to the universe with arms open wide awaiting the lesson. So far, I believe it’s to learn patience. More patience and that no matter how hard you try, there are certain things in this life that we cannot force and have zero control over. In time, the lessons all appear. My therapist gives me prompts each week to help me conquer this brain muscle. I like to think of our mental health like a muscle that constantly needs work on it in order to grow and become stronger. Similar to lifting weights, I work on not giving into my thought demons daily. The mind is a powerful muscle and it can easily place tricks on you. The key I’ve learned is not to give into the thoughts. For example, when the thoughts arise, and the anxious feelings come shortly after, I don’t give into them. I literally change the thought pattern in my brain. It’s easy to give into the anxious feelings and let them take over, but it’s a whole other process to stop them in their tracks. If I have an anxious thought while working at my desk from home, I take a break from the computer and remove myself from my office. I go outside, take a break with the dogs, and I change the though pattern. Changing the thought pattern, quickly keeps my brain from giving into the anxious feelings. I do the same thing when I’m at a stop light or sitting in traffic. The worst ones come when I’m sitting still and I think that’s because my brain has time to think about anxious thoughts. Whereas if I’m shooting a wedding or shooting a recipe in the studio, or running on the trails, my brain doesn’t have time to come up with anxious thoughts or feelings because it’s too busy working. See how that works? Scientifically speaking, our anxiety is never actually the task we are doing. For example, driving isn’t the source of the anxiety, it’s simply manifesting itself as anxiety. Anxiety shows up in our lives in different times, depending on hat we are going through at the time Currently, my anxiety is appearing in my driving and when I’m in loud, crowded places, but it’s not the actual actions that are causing me the anxiety. What I’m learning through weekly therapy appointments and constantly working on battling my anxious mind is that it’s all temporary. Even the panic attacks and the anxious feelings. None of them are a permanent destination. When you look at anxiety from that point of view it’s a lot less scary. Take it one day a time and remember that this journey can only make us stronger and wiser. I can only hope that me sharing my experiences with the public will help someone who is also struggling this scary mental health disease.